Egyptian police have seized 4.6 million tablets of the painkiller Tramadol hidden in a medical supplies container aboard a ship that was stopped while passing through the Suez Canal, the interior ministry said on Friday. Tramadol, a highly addictive opioid painkiller, is a heavily regulated pharmaceutical drug in Egypt. Eighty boxes of the tablets were hidden in the container purportedly carrying "general goods and medical supplies" on a ship bound for a "foreign country," the ministry said in a statement. 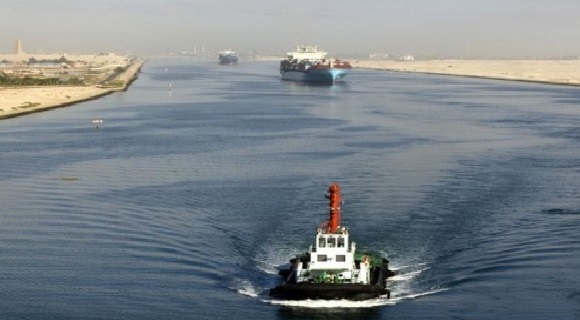 The ship was stopped and unloaded at the East Port Said Port on the Mediterranean Sea. Over the past year, the interior ministry's anti-drug units have seized 2.3 million Tramadol tablets, 300 kg of Tramadol powder and 6 million Captagon pills, the interior minister’s advisor for the anti-drug unit Mohamed Barakat said in comments to local media last month.